Batouri – I spent almost one year in Batouri, east Cameroon, about 100 kilometers from the border with the Central African Republic (CAR). There, in what is mostly jungle, electricity is problematic and running water simply doesn’t exist, even though it is the second largest municipality in the east of the country. It is a mainly rural area where agricultural and livestock farming are the main source of livelihood, even in dangerous conditions. Birth rates are high, as is infant mortality. 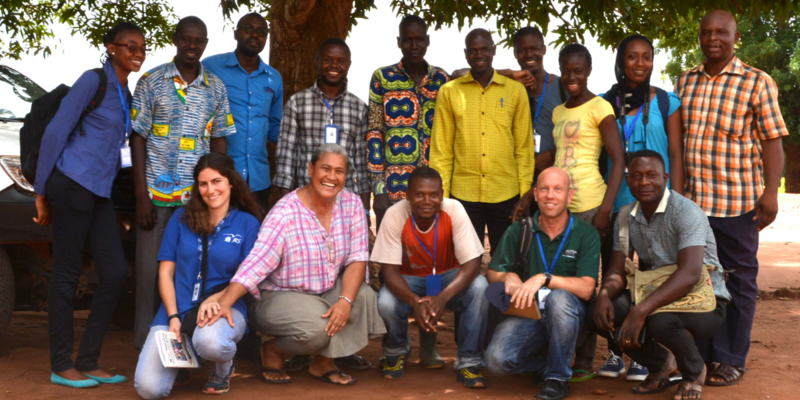 I worked with the Jesuit Refugee Service (JRS) as a field officer engaged with community building and education. I also worked as a research assistant focused on child and youth protection. As a supplementary activity, I helped develop a monthly magazine in which we analysed the primary humanitarian needs of the area and shared information about our work. The mission of the organisation is to accompany, serve, and defend the rights of refugees and other displaced persons. I worked mostly with refugees from CAR who arrived in Cameroon after fleeing the violence of their country’s ongoing civil war which broke out in 2012. But I also worked with the local population who, since 2014, has been responsible for hosting approximately 180,000 refugees. In this sense, my work took place in a humanitarian context. Most of the refugees I engaged with were from an ethnic group called the Fulani. They are traditionally a nomadic, shepherding people who speak the language Pulaar; most of the Fulani people are also Muslim. However, it is important not to generalise because there really is no one Fulani society, rather there are many groups that are constantly undergoing change. Throughout my time with JRS I have always worked to encourage peaceful reconciliation, to guarantee human rights, especially the rights of vulnerable populations such as women and children, and to promote autonomy within these populations. Working for peaceful reconciliation means seeking just relationships that promote the common good. My main expectation in this experience was learning: a learning that is directly linked to reality, a learning that is built on understanding and approaching others, and therefore, a learning that is not only rational but also emotional. It is learning by encountering others that transforms an individual. This expectation was met every day in Cameroon. Although, it is true that humanitarian work is sometimes difficult because it exposes you to ethical dilemmas, and because the nature of the work is very slow, so it takes time to see changes. After arriving in Cameroon, I realised quite profoundly that there is a lack of knowledge that exists in Europe about the social and cultural reality of the African continent, or more so realities, which are often reduced and minimalized to suffering and poverty. There is a vast cultural and social world that we should come to know, and we could learn about this world by practicing openness and fraternity: the same openness and fraternity that the Cameroonians and Central Africans have welcome me with since my arrival. Many people ask me how they can help and, as a very important person once told me, when you have nothing but also when you have a lot, the best thing you can offer is your time. Share your time with others; learn about the conflicts that exist in the world; travel; know Africa, its music, cinema, and literature – become a defender of human rights and a destroyer of prejudices that divide society, beginning with your own.